The San Francisco based neo psych band, The Spiral Electric has released their new album entitled, Ask the Sky this month. Make sure you take a listen and find yourself taking a trip down Ask the Sky's psychedelic sonic rabbit hole. You can catch The Spiral Electric live at The Elbo Room on January 19th with Hollow Sidewalks and New SUN Company! The Gathering Of The Tribes is a festival centralized exclusively in itself and its own breed of musicians and artists. 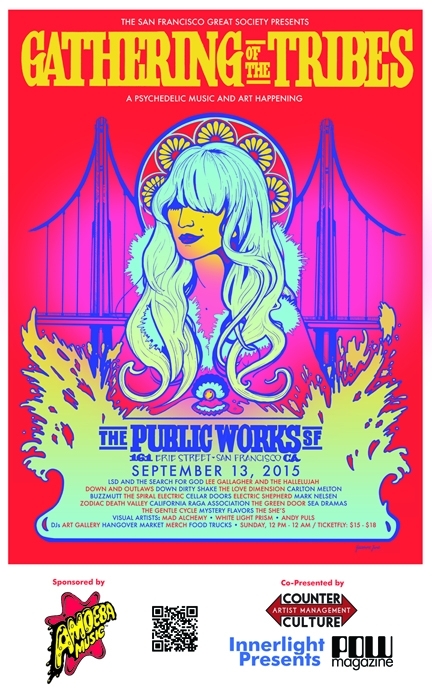 San Francisco has had other festivals in past years, but this one aims to showcase the Bay Area’s breed of psychedelia and its sub-genres, as well as celebrate its musical and artistic ancestry. The name is borrowed, or you could even say revitalized—resurrected—from the Human Be-In that took place in Golden Gate Park, January 14, 1967. This is when Haight-Ashbury became symbolically immortalized as a counter-culture mecca. Our festival celebrates San Francisco’s past and present, and aims to push forward its music and arts in a positive and progressive direction, preserving it for the good of the Bay Area and to keep things groovy. Hopefully you got that reference. But no, we’re the San Francisco Great Society. Clay Andrews of The Spiral Electric and Innerlight Presents: If the festival is comprised of bands that are all touring and far away, and everybody has all their records—that’s great and all; you have to bring people to the event, but at the same time it’s like—don’t just throw a fest where you just bring an import of things because that’s not really doing anything for the local scene. It’s not exposing people to what’s actually happening right now in their backyards. Derek See SF DJ, musician and music collector: One thing I’m especially excited about is hearing and meeting bands that I don’t know even though they're local. Because of what i do for a living, i have to get up real early in the morning on weekends—I do go out and see live music when I can, but never as much as I’d like to, whereas at this festival I’m just super stoked to be able to experience and hang out with like-minded folks. 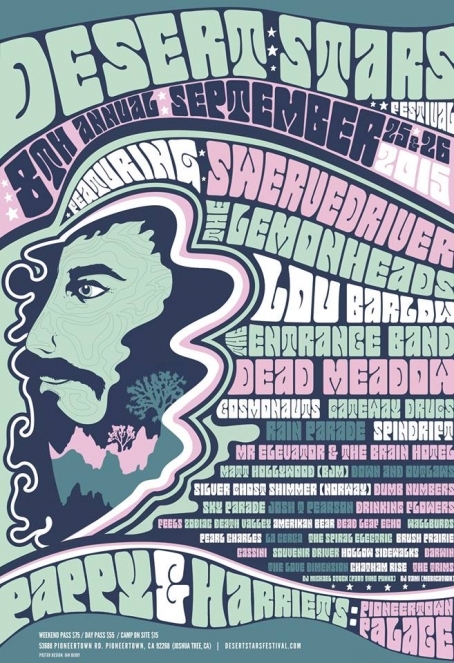 The nine-year-strong independent Desert Stars Festival opens its first wave of tickets with a ridiculously awesome lineup featuring Swervedriver, The Lemonheads, Lou Barlow, The Cosmonauts, and more. Founded in 2006 by Tommy Dietrick (Sky Parade/David J & The Gentleman Thieves), the first iteration of Desert Stars (then Clean Air Clean Stars) brought a strong sense of community and DIY spirit. 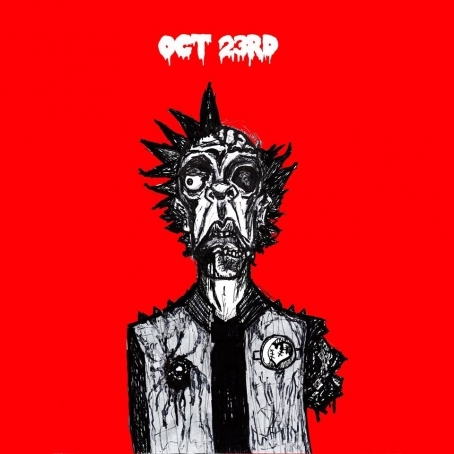 Working with minimal finances and a conviction to showcase Los Angeles' rising talents and alternative currents, Dietrick and friends threw the first festival in 2007 with less than 500 attendees who found out just through word of mouth. In recent years, that number has nearly doubled, and for good reason. With past artists including Black Rebel Motorcycle Club, Ringo Deathstarr, Mark Gardener (RIDE), David J (Bauhaus), and The Black Angels, Desert Stars is the psych-rock campout experience more accessible than Burning Man and way cheaper than Coachella. This year's lineup also includes bands from LA and Bay Area that run the gamut of alt rock including Drinking Flowers, Gateway Drugs, Feels, The Spiral Electric, Pearl Charles, and more to be announced. 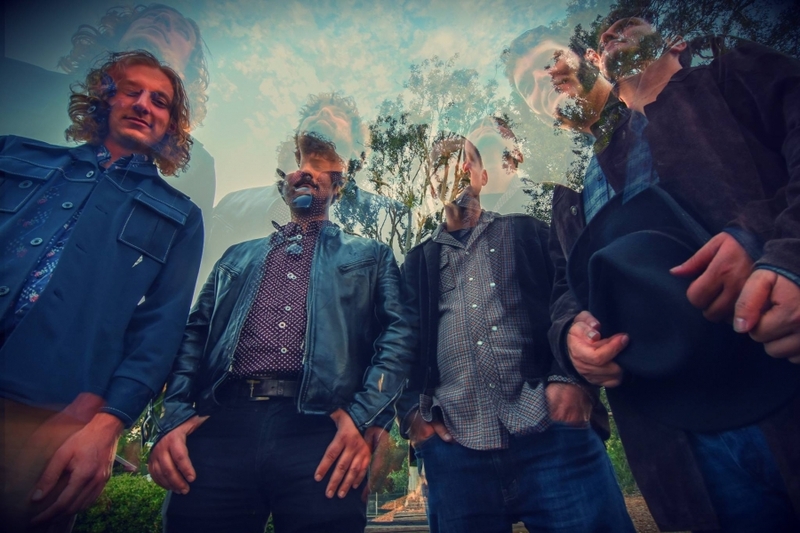 The San Francisco based psych shoegaze band, The Spiral Electric and Fine Points, the new formation of a band featuring members of the successful local psych-soul band, Sleepy Sun are going to be performing live at Brick and Mortar Music Hall on June 3rd. Fine Points are so new that they have yet to release any recorded material, so this show should be some incentive to massage your curious nature (if you possess it) and see what the band can actually do. Obviously, The Spiral Electric is a great live band, and the legendary neo psych band, The Warlocks will be in town to put on an always stellar performance. 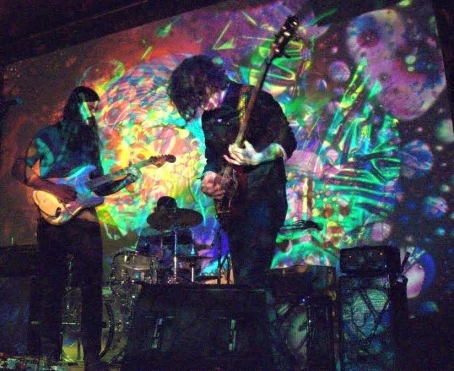 The Warlocks are an indispensable band to the Los Angeles and Bay Area neo psychedelic music scene. They've opened doors for countless current local bands and helped set the sonic standard for the washed out, reverb latent garage rock style that we've all become accustomed to knowing as a huge chuck of the local music community's signature sound. If you want to know where current San Francisco neo psych-garage rock got born, check out this show. So, we don't know much about Love City except that the promoters and organizers behind it are throwing a massive All Hollows Eve party tomorrow night. We at The Deli think you should attend because the line up is local and extensive and you'll probably see a lot of strange costumes. The community is coming together to put on a festival-esque event that is daring to be unique and encourages you to step out of the every day club scene we have all happily and fortunately grown accustomed to.